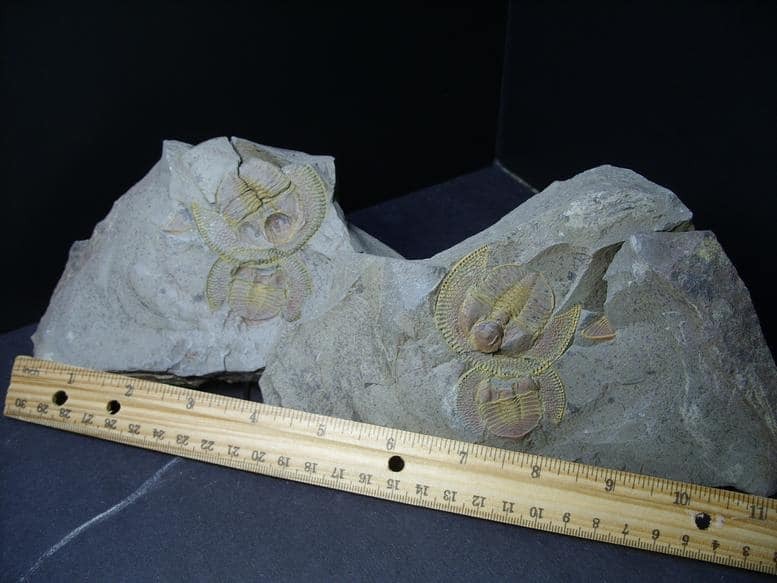 Extinct Sea creatures similar to present day horseshoe crabs. They had Hard Exoskeletons with many multi-jointed Legs. 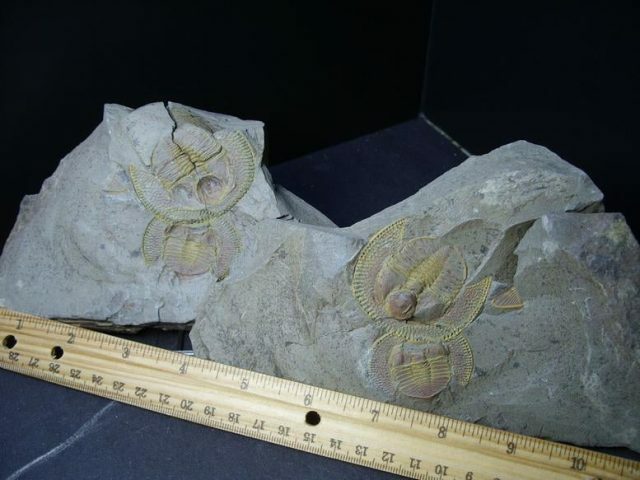 were the first ones on Earth to have highly developed vision, as evident from the compound eyes that are amazingly preserved in some of the species. 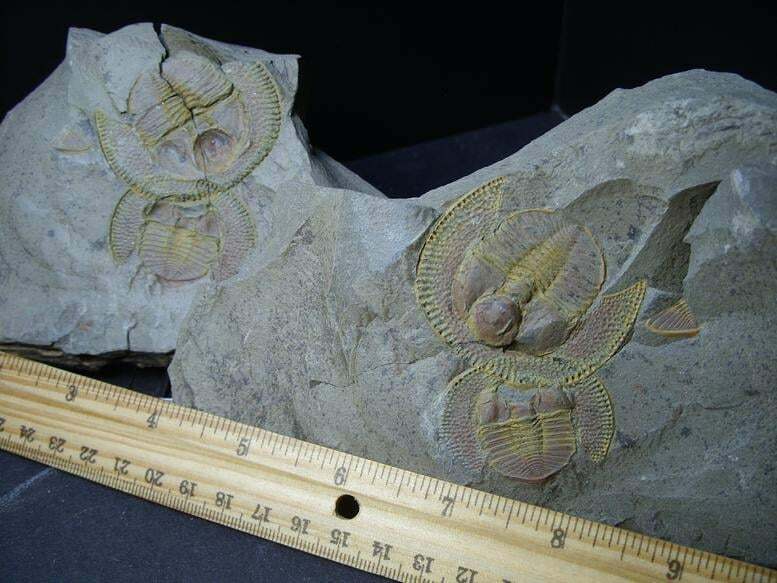 There are so many different types of trilobites that there are collectors who concentrate their entire collecting to only trilobites. Very Large Excellent double specimens with both Positive & Negative Sides !